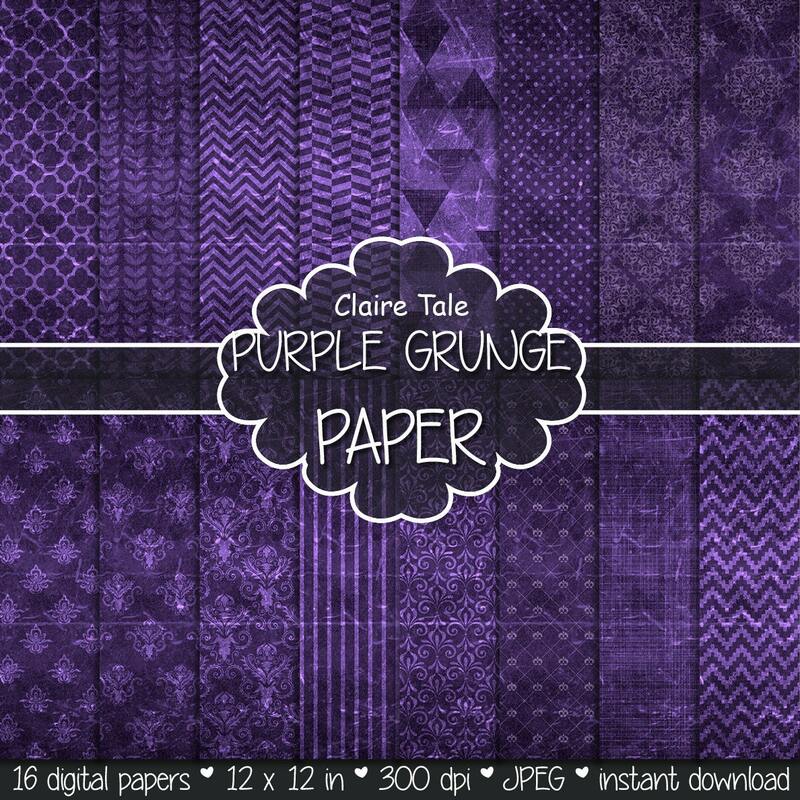 16 purple digital papers: "PURPLE GRUNGE PAPER" with chevrons, crosshatch, stripes, damask, polka dots / purple vintage paper / purple background. Perfect for scrapbooking, invitations, announcements, anniversaries, birthdays, party themes, stationary and paper crafts. Ready for immediate print and digital use. Lovely colours and patterns. Great selection for custom work.